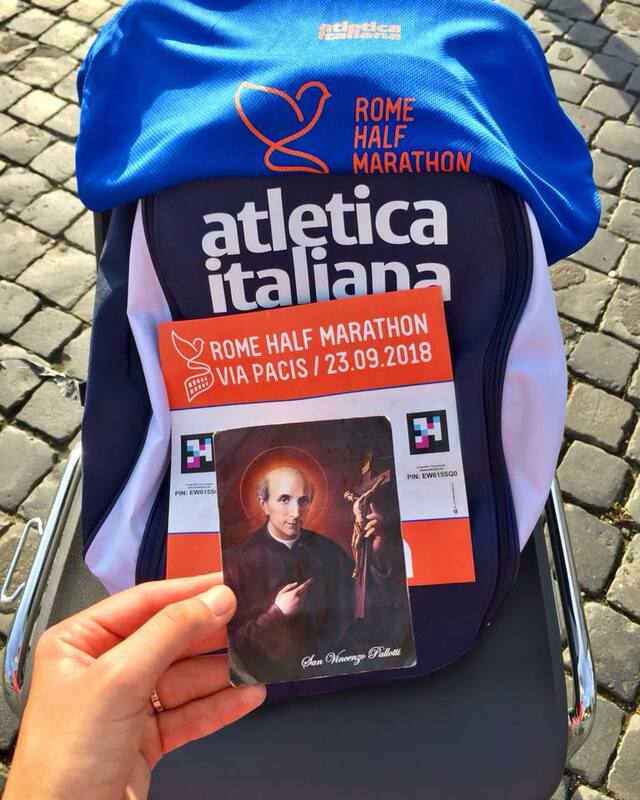 Starting in St. Peter’s Square, and soon passing our General House, St. Vincent Pallotti hit the streets as an athlete of Rome Via Pacis; a half marathon to “unite all people of goodwill, and those who believe in the beauty of life, integration, and sharing.” The world’s first inner-religious race of this length, its noble cause has permitted for sponsorship by the Vatican’s Pontifical Council for Culture, as well as the Italian Athletic Federation. Indeed, they do. “Sports train the body and spirit for perseverance, effort, courage, balance, sacrifice, honesty, friendship, and collaboration” (John Paul II.) To the victors, they must be gracious; the losers, they must be humble. Sports build a strong soul, which does not waver in weakness. So may all of us- be it on a track, or in an office- “run with perseverance the race marked out for us, fixing our eyes on Jesus, the pioneer and perfecter of faith” (Hebrews 12:1-2).